Nissan and French oil giant Total have revealed a new brand in an Australian-first collaboration launched on one of its two GT-R Nismos at the Liqui-Moly Bathurst 12 Hour this weekend. 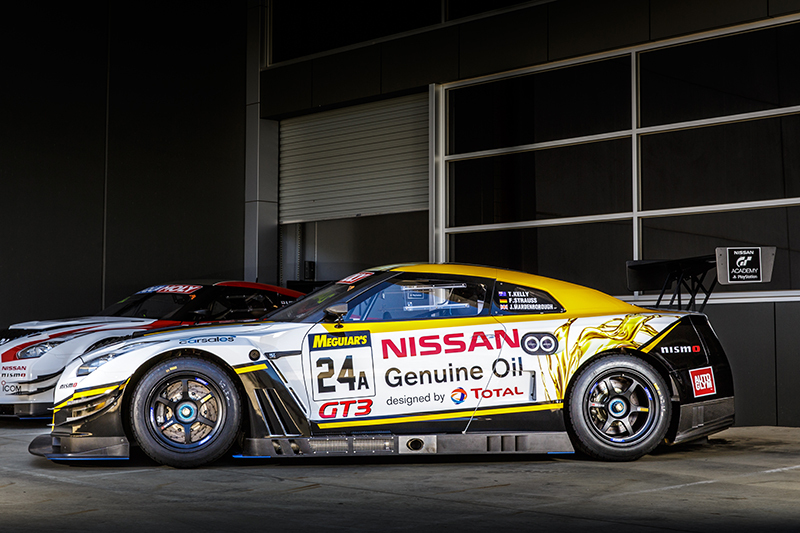 The partnership will see the newly announced Nissan Genuine Oils taking chief signage on the #24 GT3 coupe which will be driven by Todd Kelly, Jann Mardenborough and Florian Strauss. The new brand builds on a strong affiliation between Nissan and Total over many years globally. Using Total’s experience in Formula 1 the new product was co-developed by Nissan engineers. The Nissan-branded oil was designed by Total to maximise power and performance as it delves into a new corner of the road car market. 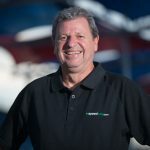 Nissan and Total have developed a complete range of engine and transmission oils, claiming it will ensure owners the best performance from their Nissan vehicle. Total has achieved much success in fuel and oil products for teams competing in Formula 1, the Le Mans 24 Hour and the World Rally Championship. 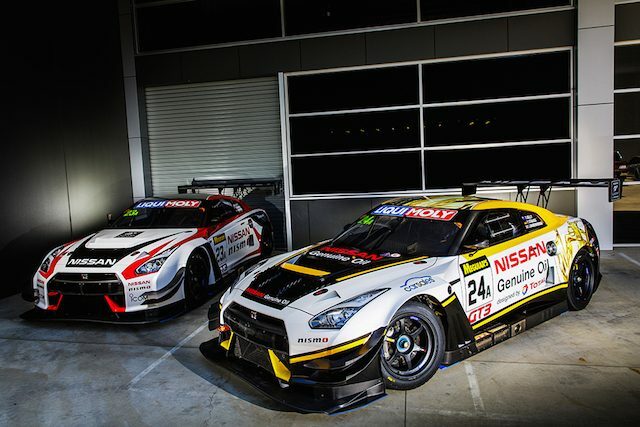 The fresh branding and unveiling of the new livery sees the #24 join the #23 GT-R which will be crewed by Michael Caruso, Alex Buncombe and the brilliantly quick Japanese 2015 Bathurst 12 Hour winner Katsumasa Chiyo. Each of the two factory Nissans has a previous Bathurst 12 Hour winner with Strauss part of the victorious crew from 2015. As previously reported the #23 machine was christened with its maiden track hit-out at Winton recently with Caruso at the helm.